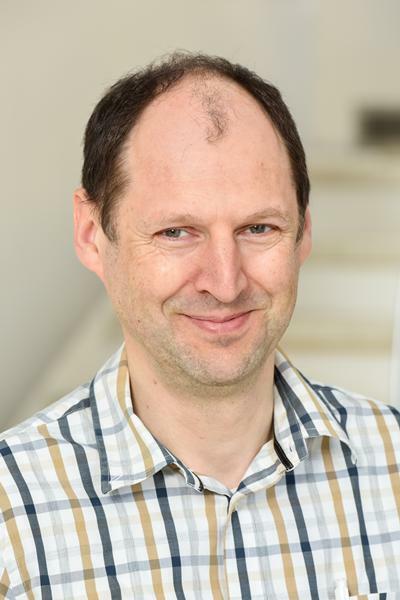 Professor Bruno Linclau was appointed into his current position in August 2015 as Professor of Organic Chemistry. He is Head of the Organic Chemistry: Synthesis, Catalysis and Flow Section. Bruno Linclau graduated from the University of Ghent, Belgium in 1992. His undergraduate thesis was carried out at Leicester University as an ERASMUS exchange student with Dr P R Jenkins during his final year. Back in Ghent, he joined the group of Professor M Vandewalle for his PhD (1992 - 1996, funded by the Belgian "National Fund of Scientific Research"), where he completed the total synthesis of several Vitamin D analogues. This was followed by a postdoctoral stay with Professor D P Curran in Pittsburgh PA (USA) (1997 - 1999), with a fellowship from the "Belgian American Educational Foundation" and from the University of Pittsburgh. There he worked on fluorous chemistry applications in combinatorial chemistry and developed a fluorous scavenger approach illustrated with automated solution phase parallel synthesis of urea libraries. He joined the Chemistry at Southampton University as a lecturer in August 1999, followed by a promotion to Senior Lecturer in 2005, to Reader in 2013, and to Professor in 2015. He is Head of the Organic Chemistry Section. He is a member of the Royal Society of Chemistry (RSC) Carbohydrate Subject Group Committee, and of the RSC Fluorine Subject Group Committee. He is also a regular member of the American Chemical Society (ACS), and of the Society of Chemistry and Industry (SCI). We are working in the field of synthetic organic chemistry. Projects often involve the development of new methodology with application in the total synthesis of natural products and analogues, or for the synthesis of compounds of biological interest. We are also interested in carbohydrate and organofluorine chemistry, and in the development of immobilised reagents for use in parallel synthesis. Taraban, V. Y., Martin, S., Attfield, K. E., Glennie, M. J., Elliott, T., Elewaut, D., ... Al-Shamkhani, A. (2008). Invariant NKT cells promote CD8(+) cytotoxic T cell responses by inducing CD70 expression on dendritic cells. Journal of Immunology, 180(7), 4615-4620. Linclau, B. (2007). Enantioselective dihydroxylation of perfluoroalkyl-substituted alkenes. Chimica Oggi/Chemistry Today, 25(3), 51-54. Linclau, B., Crosignani, S., Li, Z. N., & Lecarpentier, P. (2003). Isoureas: versatile synthetic intermediates. Abstracts of Papers of the American Chemical Society, 226, U130-U130. Linclau, B., Crosignani, S., & Lecarpentier, P. (2003). Solid-supported isoureas: convenient reagents for O-alkylation of carboxylic acids. Abstracts of Papers of the American Chemical Society, 226, U167-U167.